Fancy a bold graphic for your kid’s bedroom? 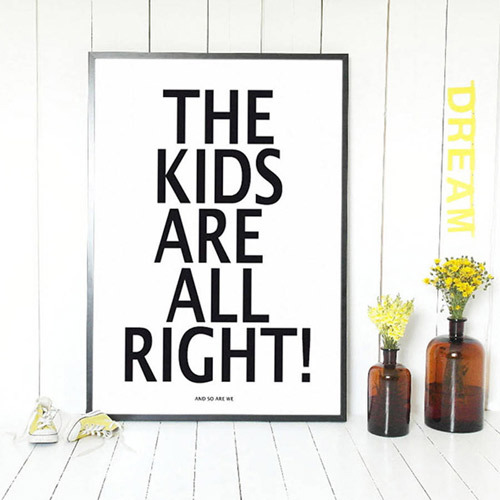 Then you might want to check out this one, which is The Kids Are Alright And So Are We poster by Lullabuy. 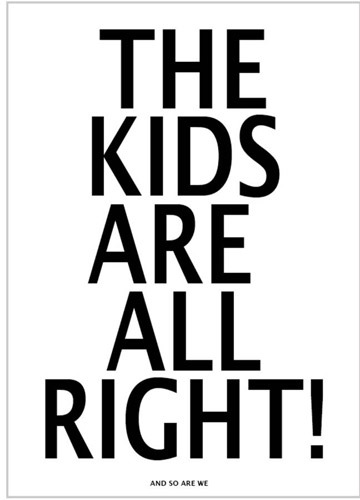 The Kids Are Alright is the main thing you’ll see, the second part is hidden in rather small text below (as it should be). Black and white is the name of the game here, although the paper is described as 170g off white stock. The poster itself sized at 50 x 70cm and sells online for £29.95 (unframed).